A Linux Dedicated Server offers great flexibility and customization. With the commercial Red Hat Enterprise Linux operating system, a company can save money when choosing to install this free operating system on their server. 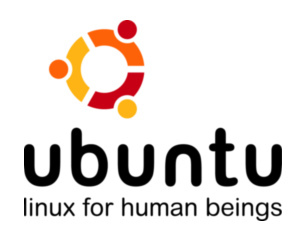 Linux also offers support for many user generation applications made specifically for the Linux operating systems. 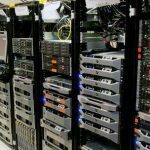 Colocation America’s portfolio of high quality solutions is equipped with a broad selection of Linux dedicated servers to offer great flexibility and customization for our clients. By harnessing the true power of the Linux operating system, our clients get the most out of their investment. In addition, each plan is backed by an enterprise-class infrastructure and robust network to ensure the best performance and maximum uptime needed to keep your company online and profitable. There are many tangible reasons why someone would choose to use Linux. The first being that most distributions (commonly referred to as “distros”) are free and the second being that those most distributions are customizable to a T.
But perhaps the best reason to use Linux is the more intangible one: it’s fun. You can spend days working on creating the best build to suit your personal or business needs—unrestricted by the limitations of some of the other more popular operating systems (OS) like Windows or Mac OS. Here are a few benefits of Linux that most people fall back on when trying to explain their reasonings for using Linux. Free Software Philosophy — Of course there are benefits to having paid software, but sometimes just having free software without the hurdles of licensing isn’t a bad thing. Additionally, this type of open-source software opens the door for anyone with coding experience to innovate or patch the software to help the overall community. Choice — There are a ton of different Linux kernel distributions and there’s almost certainly one that will best suit your best business or personal practices. Learning — Just like any OS, most Linux distros are easily installed, but do offer you the freedom of learning the ins and outs of the OS if you’re into understanding all that. Community — If there’s any help that you need, there are a ton of forums and discussion boards with experts and other newbies that can help smooth your Linux experience. Convenience — most of the software that you need is right in your distro and others are found very easily on the internet. Also, there’s usually just a single command to upgrade your OS and the upgrades are fast and simple — unlike other more common operating systems. Stability — Most Linux distros are very stable and last a long time. Different versions are rolled out quickly and efficiently and they don’t dump old recovery files that can bog down your system. Security — There is a highly reduced risk of malware and the distros are typically well secured. Most virus coders choose to go after the more popular OS, because that’s where the most data is. Most bugs, viruses, etc are usually sniffed out by the Linux community and patched before they become a real problem. Made in the early 1970s by developers Ken Thompson, Dennis Ritchie, Brian Kernighan, Doug McIlroy, and Joe Ossanna, the Unix operating system was designed to make using the computer a more interactive experience for the user. Unix was the first operating system that modernize the way we use computers today. Users of any Windows, Linux, or Mac OSX servers can thank Unix as each of those operating systems were developed from the basic source codes of the Unix operating system, making Unix the father of the modern operating system. The secure and stable Red Hat Enterprise operating system was created by the Linux operating system development team to provide enterprises with a reliable operating system that is backed by a professional network. FreeBSD is a highly advanced operating system that is x86 and x64 compatible. The original version of the operating system, Berkeley Software Distribution (BSD), was developed on a UNIX operating system at the Berkeley University of California. Today, it is the most commonly used open-source BSD, with over three-quarters of all BSD systems being FreeBSD. Since its development, it has evolved thanks to the support of an avid community. Now our dedicated FreeBSD servers are the most advance operating system out on the market today. CentOS is a free Linux distribution which is derived from Red Hat Enterprise Linux. This powerful OS was created to provide users with a free enterprise level operating system by eliminating the cost of software licensing fees. It is basically a free clone of the Red Hat Enterprise Linux OS and offers most of the benefits that the Red Hat Network has to offer thanks to the amazing support of its online community. Fedora is an operating system distribution based on the Linux kernel and sponsored by Red Hat. It’s also a type of hat. Fedora Linux is free, open sourced, and backed by a lively and knowledgeable community. Known for focusing on innovation, Fedora has maintained a reputation throughout the years for being a “cutting edge” operating system with a focus on the early adoption of new technologies and a six-month release cycle. 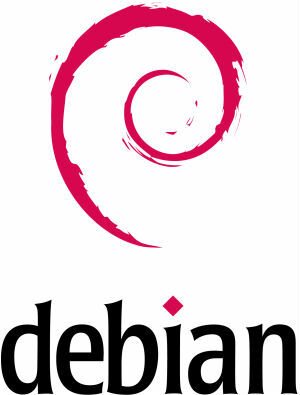 The Debian operating system is a free Linux distribution that comes precompiled with over 43,0000 packages which enable you to easily edit documents, play games, and write software. Debian comes with a package manager, or Advanced Package Tool (APT), named Dpkg, which makes Debian stand out from other Linux distributions. APT allows the user to manage thousands of packages on as many computers as easily as if they were installing one application. 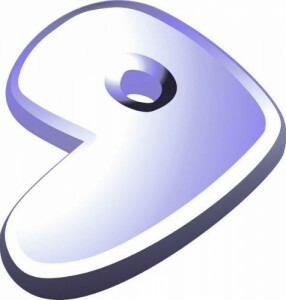 Gentoo Linux is yet, another free operating system that is highly customizable. It’s a favorite in the secured server community because of developer’s’ commitment to security.